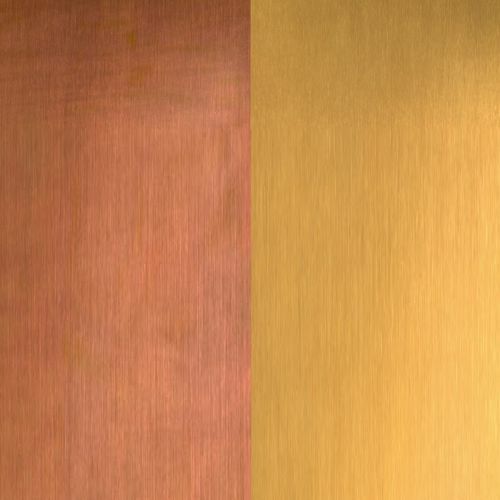 Architects and designers seeking bespoke and refined surface finishes on TECU® Brass, can enjoy a range of differing brownished TECU® Brass finishes. KME offers TECU® Brass_burnished with either linear-ground or orbitalground texture in four shades. After grinding and burnishing, the surfaces are given a lightwax preservative finish. All these surfaces are very well-suited to creating impressive and refined interiors.